Quite a big day for Zynga employees, after co-founder and longtime CEO Mark Pincus formally announced that he would step down from his chief executive position, handing that title over to Microsoft Xbox chief Don Mattrick. It is a very bold move for the ailing social gaming giant, whose share price has plummeted 68 percent since Zynga debuted on the Nasdaq in late 2011. Pincus will remain on board as chief product officer and chairman. While Mattrick doesn’t start his new gig until next week, he sent out an email to Zynga’s 2,000-plus employees on Monday, an excited appeal to work with a company that is badly in need of a turnaround. Pincus sent out a blog post earlier about the appointment. 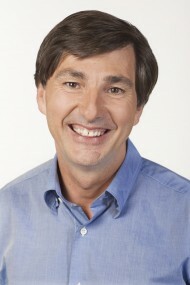 “I joined Zynga because I believe that Mark’s pioneering vision and mission to connect the world through games is just getting started,” Mattrick wrote. By now, you’ve had a chance to read Mark’s email about my coming aboard. I wanted to take the opportunity to introduce myself and share with you how excited I am to be here. I’ve admired Zynga for years. You have redefined entertainment and brought gaming to the mainstream. Only Zynga combines engineering, industry-leading product management and analytics to deliver products that strike a chord with consumers and add real value in their lives. More than 1 billion people have installed a Zynga game across web and mobile and popular franchises like FarmVille and Words With Friends are a daily habit for millions of people. It’s a staggering milestone that speaks to the mass market opportunity ahead of all of us. I joined Zynga because I believe that Mark’s pioneering vision and mission to connect the world through games is just getting started. As Mark was recruiting me to come here, I was impressed by his creativity, drive and the clarity in which he sees the future of games and entertainment as a core consumer experience. For the last 30 years, I’ve been fortunate to work with smart people on exciting projects. I’ve managed over 100 platform transitions and I’ve never lost my love for seeing products as creative experiences that bring people together. I’ve had the chance to lead the teams behind brands and franchises like “Need for Speed,” “FIFA” and “The Sims” and networks and consumer services like Xbox and Kinect. I’ve seen firsthand how powerful franchises and networks can work together to deliver breakthrough value for consumers and drive sustainable growth. We too, have all the makings of a successful service and business and we have the opportunity to create lifelong relationships with our customers through our high quality products. Zynga is a great business that has yet to realize its full potential. I’m really proud to partner with a product focused founder like Mark and work with the executive team to grow the DNA of the company and lead this transition. I’m looking forward to meeting everyone at our All-Hands tomorrow. Please feel free to submit any questions you have for Mark and me here — see you soon.